3. AGE. The site is intended only for users aged 18 or older. Individuals under the age of 18 are strictly prohibited from using the site and the accounts for any such person shall be terminated upon discovery. 4. USE OF SOFTWARE. 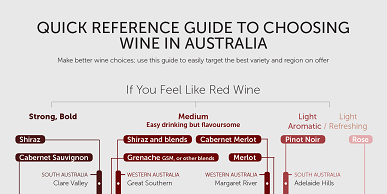 Wine Wisdom Made Easy may make certain software available to you from the Site. If you download software from the Site, the software, including all files and images contained in or generated by the software, and accompanying data (collectively, “Software”) are deemed to be licensed to you by Wine Wisdom Made Easy, for your personal, non-commercial, home use only. Wine Wisdom Made Easy does not transfer either the title or the intellectual property rights to the Software, and Wine Wisdom Made Easy retains full and complete title to the Software as well as all intellectual property rights therein. You may not sell, redistribute, or reproduce the Software, nor may you decompile, reverse-engineer, disassemble, or otherwise convert the Software to a human-perceivable form. All trademarks and logos are owned by Wine Wisdom Made Easy or its licensors and you may not copy or use them in any manner. 5. USER CONTENT. You grant Wine Wisdom Made Easy a license to use the materials you post to the Site or Service. By posting, downloading, displaying, performing, transmitting, or otherwise distributing information or other content (“User Content”) to the Site or Service, you are granting Wine Wisdom Made Easy, its affiliates, officers, directors, employees, consultants, agents, and representatives a license to use User Content in connection with the operation of the Internet business of Wine Wisdom Made Easy, its affiliates, officers, directors, employees, consultants, agents, and representatives, including without limitation, a right to copy, distribute, transmit, publicly display, publicly perform, reproduce, edit, translate, and reformat User Content. You will not be compensated for any User Content. You agree that Wine Wisdom Made Easy may publish or otherwise disclose your name in connection with your User Content. By posting User Content on the Site or Service, you warrant and represent that you own the rights to the User Content or are otherwise authorized to post, distribute, display, perform, transmit, or otherwise distribute User Content. 9. NO WARRANTIES. WINE WISDOM MADE EASY HEREBY DISCLAIMS ALL WARRANTIES. WINE WISDOM MADE EASY IS MAKING THE SITE AVAILABLE “AS IS” WITHOUT WARRANTY OF ANY KIND. YOU ASSUME THE RISK OF ANY AND ALL DAMAGE OR LOSS FROM USE OF, OR INABILITY TO USE, THE SITE OR THE SERVICE. TO THE MAXIMUM EXTENT PERMITTED BY LAW, WINE WISDOM MADE EASY EXPRESSLY DISCLAIMS ANY AND ALL WARRANTIES, EXPRESS OR IMPLIED, REGARDING THE SITE, INCLUDING, BUT NOT LIMITED TO, ANY IMPLIED WARRANTIES OF MERCHANTABILITY, FITNESS FOR A PARTICULAR PURPOSE, OR NONINFRINGEMENT. WINE WISDOM MADE EASY DOES NOT WARRANT THAT THE SITE OR THE SERVICE WILL MEET YOUR REQUIREMENTS OR THAT THE OPERATION OF THE SITE OR THE SERVICE WILL BE UNINTERRUPTED OR ERROR-FREE. 11. PROHIBITED USES. Wine Wisdom Made Easy imposes certain restrictions on your permissible use of the Site and the Service. You are prohibited from violating or attempting to violate any security features of the Site or Service, including, without limitation, (a) accessing content or data not intended for you, or logging onto a server or account that you are not authorized to access; (b) attempting to probe, scan, or test the vulnerability of the Service, the Site, or any associated system or network, or to breach security or authentication measures without proper authorization; (c) interfering or attempting to interfere with service to any user, host, or network, including, without limitation, by means of submitting a virus to the Site or Service, overloading, “flooding,” “spamming,” “mail bombing,” or “crashing;” (d) using the Site or Service to send unsolicited e-mail, including, without limitation, promotions, or advertisements for products or services; (e) forging any TCP/IP packet header or any part of the header information in any e-mail or in any posting using the Service; or (f) attempting to modify, reverse-engineer, decompile, disassemble, or otherwise reduce or attempt to reduce to a human-perceivable form any of the source code used by Wine Wisdom Made Easy in providing the Site or Service. Any violation of system or network security may subject you to civil and/or criminal liability. 13. COPYRIGHT. All contents of Site are: © Wine Wisdom Made Easy All rights reserved. 15. NO LICENSE. Nothing contained on the Site should be understood as granting you a license to use any of the trademarks, service marks, or logos owned by Wine Wisdom Made Easy or by any third party.